At Endless Possibilities Training Systems, we know the first step towards getting the body you want is consistently showing up for workouts. Although that may sound easy enough, life can often get in the way. Working with a personal trainer is the best way to ensure you won’t talk yourself out of hitting the gym or sticking to your diet. Even once someone gets in the routine of regularly working out and eating well, there’s still a chance that they may give up on this pursuit. The most common reason is because they hit a plateau and no longer feel like they’re making progress. By hiring an Omaha personal trainer, you can be sure that you’ll have a solution for overcoming any plateaus you may hit. Another common issue that prevents people of all ages in Omaha from ever making real fitness progress is they set the wrong goals. While it’s good to have ambitious goals, it’s just as important to have a realistic timeline for accomplishing them. By hiring an Omaha personal trainer, you can be confident that the goals you set will help you instead of inadvertently sabotaging your success. Because a trainer can keep an eye on your form, working with one will minimize the likelihood of you hurting yourself or agitating an old injury. And since it can be a challenge to consistently come up with new workouts to keep both your body and mind engaged, having a trainer who can do this for you is very helpful. Now that you’ve seen exactly what a great personal trainer can do for you, all you need to do is find the right trainer to begin working with. 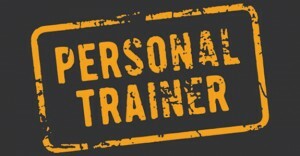 Since we know that you probably have additional questions about working with a trainer, Endless Possibilities Training Systems offers a free consultation. Just give us a call at (402) 290-3915 to easily schedule a free consultation and see exactly how a trainer can make 2015 your year of fitness success!